Are you a people person with an affinity for sports and fitness and a passion for EMS technology? Do you enjoy a hands-on approach to running your own business? A FITtec.TM franchise could be ideal for you as our business model involves minimal risk and maximum support for first-time franchise owners. 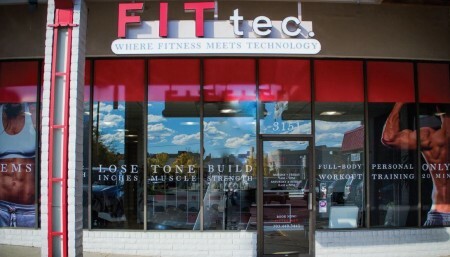 Become a FITtec.TM franchise partner in your area! Fitness is a growing global industry with $28 billion being generated in the United States. One out of every five Americans has a gym membership. The fitness industry is booming as a largely unhealthy and overweight population is looking for ways to get into shape. People are starting to realize that staying fit, healthy and strong will reduce medical bills, increase life expectancy and overall happiness. Our job is to help our members take action, stay the course, have fun, reach their goals, push them, motivate them and essentially enable them to live their best. EMS (Electrical Muscle Stimulation) is the stimulation of muscle contraction using electric impulses. It activates muscle contraction via electrical stimuli. In EMS training electrical impulses activate the muscles externally, to the muscle there is no difference whether the electric stimuli originate from the brain or the electrodes, the muscle contracts. The EMS session does not affect the joints, reaches the deeper muscle tissue and has many benefits according to multiple studies. It's the 21st century training: It's EMS training. Our number one goal is to build a thriving franchise owner community. We achieve this with our robust training and support program, systems and tools. We begin with our initial franchise training at our Colorado based franchise headquarters. Ongoing training classes will be hosted throughout the year via live webinars, conference calls and online classes. We also post marketing and promotional materials for ongoing membership growth as well as other resources. Supporting our franchise owners is the backbone of our success and we look forward to working with you throughout the lifecycle of your studio. Superb infrastructure to support franchisees throughout the onboarding process and ownership of the unit including marketing strategies, content, communications, location intelligence, buildout, infrastructure all backed up by ongoing training and support via our cloud-based IT systems.